Here is where we honor residents who have either moved on to their forever homes or who passed away while they were with us. The founding member of our feathered flock was a stray in search of a safe place to call home and we were very pleased to welcome her to the sanctuary. She was at the top of our pecking order despite her small size! And in case you're wondering why she looks sort of "funny," she was a Naked Neck chicken and a fine looking one at that! She battled what may have been a particularly nasty case of avian pox for a few weeks before finally dying peacefully in her sleep. She was only with us for a year but she made a huge impact on all of us. 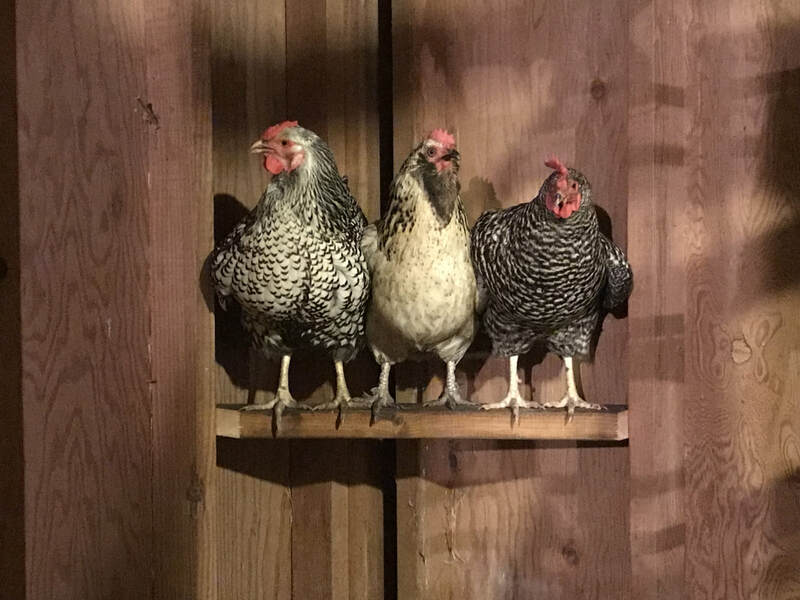 These lovely ladies came to stay with us when their human realized that their coop was not sufficiently predator-proof. After losing a few members of the flock she asked us to take these girls to keep them safe. Gisele was looking for company (and some other chickens to boss around!) so we were happy to take them in. As you can tell, they are quite connected and happy together. 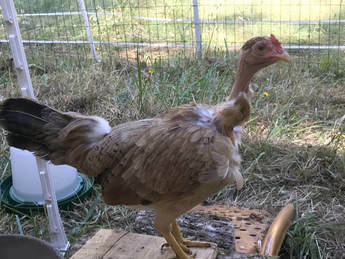 Tina is a gorgeous Silver-laced Wyandotte, Penny is a mixed breed (Faverolle and ?) and Chrissy is a Barred Rock. They were adopted along with Gloria to a home with two other chickens up in Washington and are loving their new life! Lulu and her sister Baboomba were rejected by their mother shortly after they were born and had to be bottle fed. Unfortunately their caregiver was unable to continue caring for them when she relocated so we stepped in to try and fill her shoes. They are St. Croix sheep which means no shearing! They shed their hair naturally a few times a year. They are friendly and easy-going girls. They now call Washington home and spend their days grazing a 27 acre farm along with other rescued sheep and their buddy Gnija. Gnija joined the sanctuary along with her pasture pals Lulu and Baboomba when their previous owner relocated. She is very connected with these two and takes her job of protecting them very seriously. She frequently ushers visiting turkeys out of the pasture! Although she was a bit standoffish, we enjoyed her antics and were very happy to provide her with a safe place until she could find her forever home in Washington.